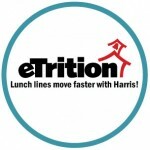 Harris School Solutions is excited to announce that Melbourne School District in Melbourne, Arkansas, has chosen eTrition as its Child Nutrition Accountability software. eTrition is a cloud-based solution that reduces or eliminates IT tasks and promotes efficiency, saving the Melbourne District time and money! Melbourne School District is a long-time user of Harris’ Meal Tracker software. They made the decision to upgrade to eTrition in order to further the district’s goal of utilizing cloud solutions as much as possible. The school district operates two cafeterias and serves meals to over 800 students each day. Melbourne is especially excited about offering parents the option of applying for meal benefits online with EZMealApp.com.